The 800KL Health-o-meter Professional Digital Floor Scale is a durable and dependable scale, ideal for a home or health care environment. The extremely sturdy steel frame and high impact textured plastic ensures many years of use. With its easy to read and large 1 1/2" LCD display and high contrast numbers, this scale is perfect for those who are visually impaired. The large platform was designed to be comfortable for all ages, and the textured plastic secures big and little feet alike. Some of the many functions built-in with this scale are: LB / KG Switch, Auto Zero, 5 Second Weight Hold, Auto Off and Dual Mode for LB and KG. 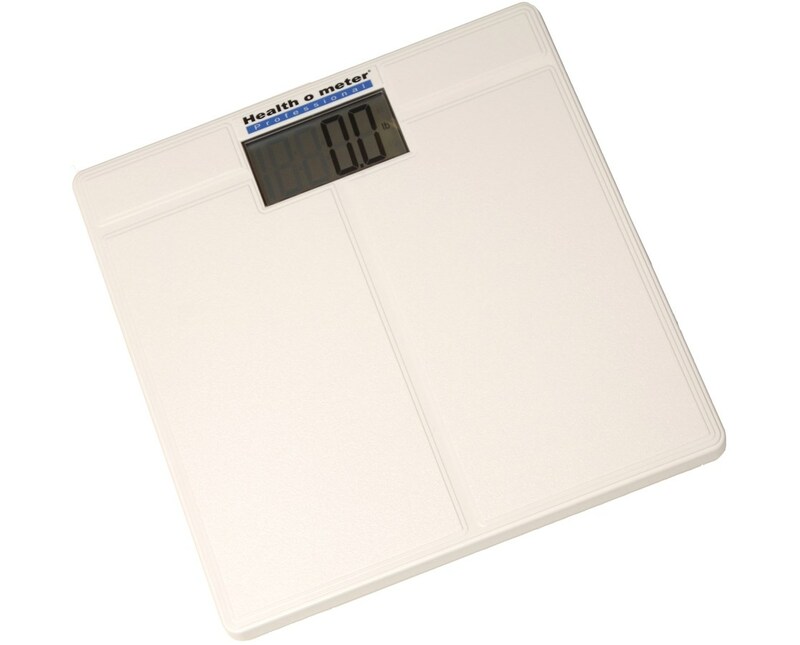 This scale includes a long lasting lithium battery which can be replaced if needed. 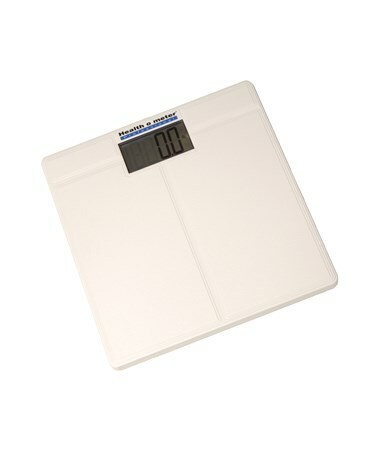 This scale can be purchased in bulk (800KL) at a greatly reduced price, or as a single item (800KLS). Please select which model you prefer using the drop-down menu above. If you are looking for a high quality, accurate, and affordable scale for your home or health care facility, the 800KL is the perfect blend guaranteeing a user friendly, accurate, and solid scale, for many years of enjoyable use. Overall Measurements 12.25" x 12.25"
Accuracy 1% per 100 lbs. Tiger Medical offers a standard 30 day return policy from date of shipment on all Stocked Items which Ship out in 24-48 Hr. Return shipping charges are the responsibility of the customer. The product must be in new condition and in its original packaging. Non Stocked Items are specially ordered, and we cannot accept returns on such products for any reason. We take the responsibility to make sure your product arrives in brand new working condition. Should your item arrive damaged, we will replace the product at no cost to you.